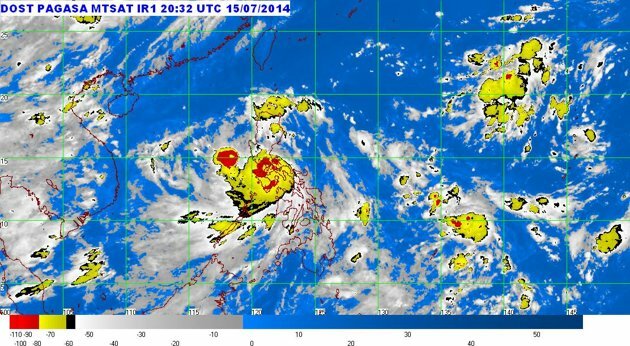 Right now, many parts of the Philippines are being ravaged by another typhoon. It seems to be almost yearly that a devastating storm of this magnitude hits during this time of the year. While we’re here in the US, our social networks and text messages back home are filled with updates from home. People are reporting that it’s the worst they’ve seen yet. For a Filipino, for whom storms are a regular part of life, that’s saying a lot. Here’s a verse that came to mind as I prayed for our countrymen and the storm. I’d like to invite you to pray it with me as well. Dear Lord, we trust you during this time of shaking and storming in our country. It is a terrible thing to endure and to witness, but we know that You are in control, even when we are completely helpless. We ask you to have mercy on the Philippines and stop this storm from causing any more damage. But Lord, we also pray that You will use this storm to shake away the things that can be shaken. Shake away the corruption that has kept so many of our countrymen in poverty, where they are most susceptible to the elements. Shake away the inefficient and ineffective implementation of disaster prevention and relief by some. Shake away the unjust distribution of resources where thousands can live securely in their homes while millions are in fear for their lives. Shake away the laziness and the lack of discipline in our country that keeps us ill-prepared for times like this. May we stop with the littering, the reckless building, and the willful ignorance of natural dangers. And Lord, may the unshakeable things remain in our country as well. We thank You for the indomitable Filipino spirit that you have blessed us with. We thank you for the strong relational and community ties that are in our country. We thank you for the generosity, hard work, and diligence of many to minimize the disaster, to protect those affected, and to restore whatever has been destroyed. Please keep those people safe, and give them the wisdom and resources needed to get the job done.